If it wasn’t for the fact that it was such an egregious form of racial profiling, I could probably laugh at this dumb 911 call. 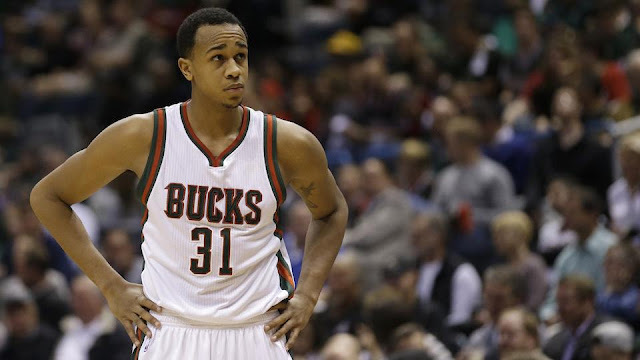 John Henson should be on top of the world. I mean, he has a budding NBA career and was preparing to purchase his first Rolex watch. That was ruined after a Milwaukee area jewelry store owner mistook the Bucks power forward for a criminal looking to rob him. According to a 911 call obtained by WTMJ-TV, the folks at Schwanke-Kasten Jewelers in Whitefish Bay, Wisconsin grew suspicious of Henson because he dared to call in and check what time the store was closing. Store Employee: We just had a couple suspicious phone calls lately at this store, and we were just wondering if for the next hour, one of the Whitefish Bay cops could park in front of the store until we close. 911 Operator: What were the phone calls about? Store Employee: They were just asking about what time they’re going to close. They just didn’t sound like they were legitimate customers. Henson left and returned to the store later, which made the entire situation even more ridiculous. At that point, the officers let the store owner know that the allegedly suspicious person was Henson and to let him in. The store clerk still wasn’t trying to hear it. 911 Operator: I have officers there asking you to come to the front door if you would please? Store Employee: Why? I don’t feel like it. Why do I have to come to the door. Can the officer come to the back? I’m not coming to the front door. Eventually Henson did get to come inside the store, but the store employee insisted that the police officer stay while Henson shopped. The officer didn’t. And Henson left.